Restoring the true image of God's extravagant love, generosity, and graceMany believe that God is mad at them--and as a result they live far below the level of favor and opportunity that God intends for them. 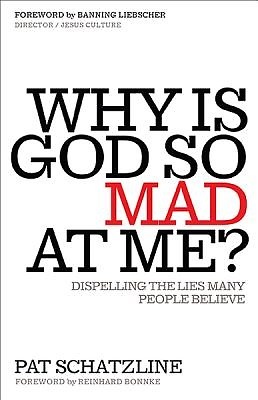 This book unveils the influences that cause us to believe that God is angry. It uncovers ten attributes about God that reveal Him as a loving and merciful God who accepts us, transforms us, renews us, and gives us a future filled with abundant blessing and opportunity. It releases us from the hurt and pain of our past--no matter how painful--and leads us through the retraining of our actions and thoughts. It dares us to wrestle with God until he blesses us and to enter the dance of new life that He is offering to all His children.